Christmas can place an excessive amount of stress on a closely managed household budget. Some households have been found to take up to three years to settle their Christmas spending. Then everyone has to use their imagination and be more creative in their gift giving. Or use a Secret Santa where everybody selects someone to buy for, or a bran tub where there’s one gift per person, all ways to reduce fiscal pressure and cost of Christmas. It is often such a relief when one person makes such a proposal. Usually others are more than happy to agree. – Give children experiences rather than gifts. Maybe commit to a special present per child, but then consider ways to give your time and attention so that you can do things together. Children often treasure those shared experiences, especially if parents are usually busy working or doing chores. A day at the beach, the playground, a nature trail, time spent fishing, doing crafts together, playing football are often experiences remembered long after all of the expensive gifts are outgrown. – Source imaginative gifts at craft fairs and local markets, where there will be unique foodstuffs and fancy goods, often without a discernible price tag. A tasty food hamper, locally brewed beers, jewellery, paintings, fabrics are usually available for sale in artisan markets and are reasonably priced, therefore assisting you to manage the cost of Christmas. – Offer help as opposed to gifts. A voucher for an evening’s babysitting, help with gardening or ironing, a beautiful homemade cake, hair styling or a pamper session may be much appreciated. Any could be a wonderful way to give the recipient some much-needed support. – Source free amusement and manage the cost of Christmas. Carol services, concerts and country walks are often entertaining ways of passing a fun couple of hours and can provide welcome reasons to give everyone a break whilst getting some fresh air. – Reduce Christmas food spending by preparing in advance yummy staples such as casseroles, stews and pies. It’s often a treat to wrap up warm, like a brisk walk and return to delicious home comfort food. Guests will appreciate those relaxed meals as a welcome change in lavish Christmas fare. – Have you heard of safari suppers; each house provides one course, then moves on for the next course, including everybody in the cost and effort. 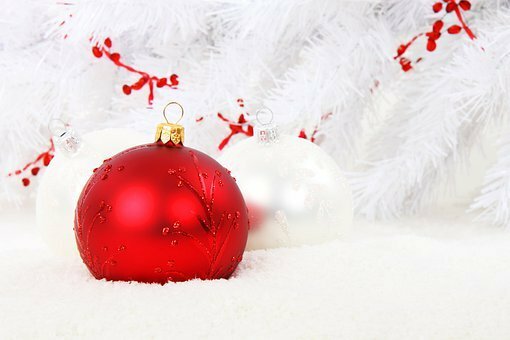 Christmas and post-Christmas can be occasions when organizing some cheap social time can be a welcome break, especially if it’s neighborhood with no need to travel too far from home. – Accept offers of help. If guests want to bring wine, food or create their signature dish, accept graciously and reduce your financial burden. Let’s contribute and feel that they’ve participated in the day. It saves you money and time. – Resist the urge to keep on spending. All too often we’ll see another’perfect’ gift or some’must-have’ tasty treat. Stop yourself from appearing! Those things are often unnecessary, nobody will miss them and yet they could add significantly to the overall expense of Christmas. Stay with your master plan and prevent any additional temptations. Christmas is about sharing food and time with loved ones, family and friends. It’s great to see that more Americans go home for Thanksgiving than for Christmas and no presents are exchanged at Thanksgiving. When we stay with the underlying message of Christmas we may have a special, loving time and not need three years to recover from the cost of it all!